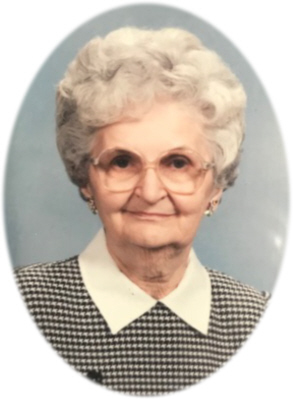 Mary Celia Hanacek, age 98 of Lake Wales, FL, formerly of Elsie, MI passed away Thursday, January 31, 2019 at Waters Edge of Lake Wales, Lake Wales, FL. Cremation has taken place. Services in Michigan will be held at a later date. Burial will take place at Ford Cemetery, Elsie, MI. Mary was born in Ithaca, Michigan on November 22, 1920 the daughter of Steve and Otillia (Dobias) Sisal. Mary married Steve Hanacek and he passed away on April 21, 1981. She resided most of her life in Elsie. Mary loved her family and her life was devoted to them. She was famous for her kolache and chocolate chip cookies she made. Mary was a member of St. Cyril's Catholic Church, Bannister, MI and active with the Altar Society. She is survived by her son Robert and Nancy Hanacek of Haines City, FL and her daughter Barbara and David Tripp of Haines City, FL. Mary is also survived by many grandchildren, a great-grandchild, a great-great-grandchild also her special and dear friends: Gertrude Dunham, Joe Beno, Jr. and Margaret and Jerry Horak all of Elsie, MI. Mary was preceded in death by her parents, her husband, and 2 brothers Joe and Steve Sisal. Memorials may be made to a Hospice of the Donor's Choice or Masses at St. Cyril Catholic Church. Online condolences can be sent to www.smithfamilyfuneralhomes.com. The family is being served by Smith Family Funeral Homes, Elsie, Michigan.